Uber, the largest and most influential on-demand gig company in the country, has always claimed that its drivers are contractors, not employees. The San Francisco-based company insists it’s not a taxi business but rather a tech firm that creates a platform, or online marketplace, to connect riders to independent drivers. In other words, Uber contends, its employees are the people who build its technology, not the ones driving the cars. Uber's argument has become the standard line of reasoning for the countless on-demand gig companies that have followed in its wake: Employees build the marketplace, contractors do the gigs. How workers are classified determines the type of protections and benefits they're eligible to receive. Employees, unlike contractors who are considered self-employed, generally qualify for minimum wage guarantees, workers' compensation, unemployment insurance and other benefits. “Uber has been incredibly, incredibly smart about proactively and defensively ensuring that their workers are not legally classified as employees,” said Veena Dubal, a law professor at UC Hastings, who has researched Uber and Lyft since their inception. The list goes on, she said, but it begins with the arbitration clauses. Uber, like most gig companies, Dubal explained, requires its drivers to sign arbitration clauses, which forces them to handle issues directly with the company rather than in court. This, Dubal said, prevents many of the claims related to worker misclassification from ever seeing the light of day. Uber has also successfully lobbied more than half the state legislatures in the country to pass legislation that protects how it classifies workers, according to the National Employment Law Project. In states like Florida and Texas, the company has successfully pushed for laws that pre-empt local regulations to ensure its drivers continue to be considered contractors. Additionally, the company supports marketing efforts like the California Chamber of Commerce’s I’m Independent Coalition, which features testimonials from people in different professions describing the advantages of working as contractors, including the flexibility it allows. In several large cities where Uber and taxi drivers have spent years organizing for stronger worker protections, the company has swooped in to offer its own solutions. In New York, for instance, Uber struck a deal with a local affiliate of the Machinists Union to create the Independent Drivers Guild (IDG) to serve as an advocacy group for drivers. The IDG claims successes like ensuring benefits for families of drivers who die on the road. But the organization has no collective bargaining powers, which are traditionally available only to employees in a union. 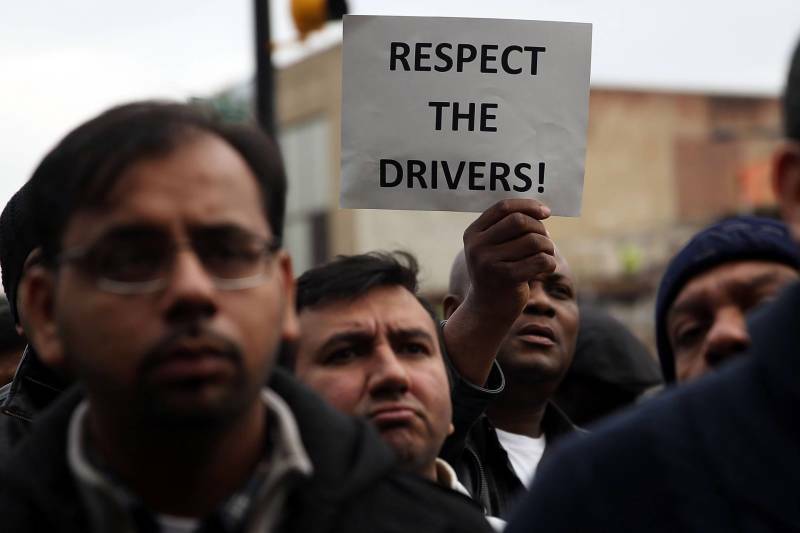 Bhairavi Desai, who heads the New York Taxi Workers Alliance, said the IDG might look like a kind of union, but it lacks the independence from Uber that it would need to be truly effective. “How on earth can workers properly defend themselves, protect themselves, fight for more, if the company is the one that controls you?” Bhairavi said. Meanwhile, in Seattle, a lawsuit filed by the U.S. Chamber of Commerce on behalf of Uber, Lyft and other ride-service companies successfully challenged a local ordinance that had been unanimously approved by the city council in 2015, allowing gig drivers to collectively bargain for wages and benefits. 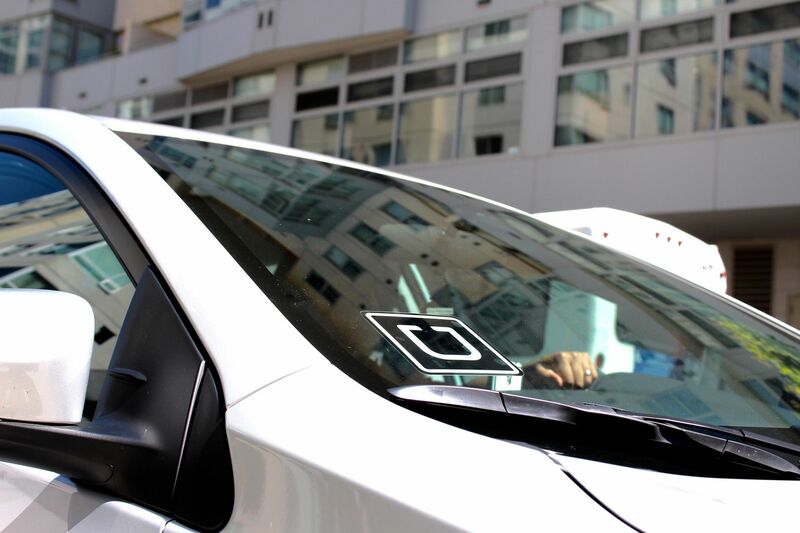 The suit argued that because drivers are running their own businesses as contractors, allowing them to unionize would reduce competition and raise prices, in violation of antitrust law. Seattle's law, the first of its kind in the country, has been on hold since a three-judge panel of the 9th U.S. Circuit Court of Appeals ruled in May that it could be challenged under federal antitrust law, and sent it back to a lower court. Antitrust law was not intended to go after workers, but to break up big corporate monopolies, said Marshall Steinbaum, an economist at the Roosevelt Institute. “The idea that Uber could use antitrust to go after its own drivers is ridiculous,” he said. After the lawsuit was filed, the city decided to re-examine the ordinance. In the wake of a California Supreme Court decision last spring that makes it harder for gig companies to classify workers as contractors, Uber and other firms have actively negotiated with state labor unions to minimize the ruling’s impact on their businesses, suggesting ideas like portable benefits for drivers and additional non-unionized worker guilds. Caitlin Vega, legislative director of the California Labor Federation, said it's essential to protect the court's decision, which she calls one of the biggest wins for labor in the last 40 years. Some Uber drivers worry that their concerns will be buried in the storm of negotiations now at play in Sacramento. George, an Uber driver in Los Angeles, who didn't want to use his last name for fear of retaliation, said that drivers are no match for a company with that kind of clout. George said he would like to have the kind of protections that employees have, like workers' compensation and guaranteed minimum wage, as long as he can still set his own hours. But mostly, he said, he wants more say over things like the wages he receives, how much the company charges for rides and how many cars it puts on the road. George said he plans to demonstrate with other drivers in Los Angeles later this month, in the hopes their voices will be heard by state legislators, where the fate of California's gig workers may ultimately be decided.